GESAB works day after day to develop a business model in which innovation and technology function in balance with the people and the environment. We strive to be a guarantee of future. At GESAB, we try to inspire from within our company so that all the people that are a part of it, in turn, inspire the entire world with their projects, designs and creations. We accept and face this challenge continuously, gathering people around a shared project. That is our raison d’être. That is what makes us different. Guarantee the operative continuity of our clients, offering customized solutions with a great technical and esthetic design. Leading the transition into a more interconnected, sustainable and safer world, putting people at the core while enjoying what we do. Sustainability understood as one of the core values of GESAB and as a responsibility for our present and our future. A value deeply rooted in our company from day one and that has permeated our systems and processes to guarantee an activity that is respectful towards the environment. The management systems of the processes and facilities within GESAB are designed to minimize environmental impact and to be an example of sustainability. At this time, we carry out our activities following the ISO 14001 standard. During the control process, we carry out a study of the product’s life cycle, its packaging, environmental assessments of providers and environmental control plans in every project. Because of our commitment to the planet, we work respecting the environment. Our commitment towards sustainability has led GESAB to take part in initiatives for raising awareness regarding the importance of preserving our environment. 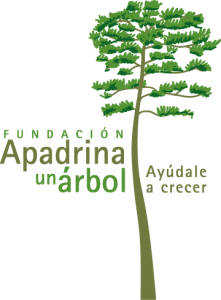 Among such initiatives, there is the collaborative agreement entered by GESAB and the Fundación Apadrina un Árbol (Sponsor a Tree Foundation), in which we committed ourselves to sponsoring 1000 trees for a period of 5 years. This action is allowing us to repopulate with trees an area that was consumed by fire and that will soon become an example of land rehabilitation. 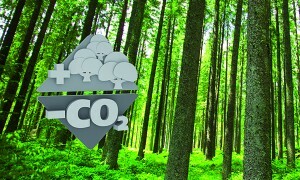 GESAB, as a collaborative company and with the intention of successfully promoting the project, initiated the campaign called “+ Árboles – CO2” (+ Trees – CO2) pushing the company’s clients and collaborators to become sponsors, adding value to the cause by bringing them into this amazing environmental project. The main goal is providing support for the creation of a unique natural space that would connect the citizens to nature reflecting its relevance to our lives. This collaboration joins the set of actions and policies of GESAB in the fight against pollution and environmental protection, defending a business model in which innovation and technology are perfectly compatible with sustainability.